The unprecedented vision power and unmatched ruggedness of the In-Sight® 5000 Series vision systems are helping manufacturers around the world improve productivity, ensure product quality and lower manufacturing costs. And, an array of In-Sight models means that there's one just right for your application. In-Sight 5000 Series vision systems are the only vision systems in the world that provide industrial-grade features as standard. Rugged die-cast aluminum cases and stainless steel enclosures that can withstand the punishment of vibration, sealed M12 connectors, and a protective lens cover for IP67 and IP68 rated protection against dust and moisture—it all adds up to peace of mind on the factory floor. Every In-Sight 5000 Series vision system delivers best-in-class performance. Most models are equipped with a full library of proven Cognex vision tools through the easy-to-use In-Sight Explorer software. Tools include OCRMax™ for optical character reading and verification applications, PatMax®, the industry standard for part location technology, and many other inspection, measurement and color tools. The new 5 MP (megapixel) In-Sight 5705 vision system combines industrially rugged In-Sight 5000 series hardware and best-in-class vision tools with a high resolution imager, for the ultimate standalone vision system. The In-Sight 5705 system is ideal for high accuracy defect detection and gauging applications, and allows a larger field of view, making it easier for the vision tools to accurately find the features of interest on even large-sized parts, products, and packages. 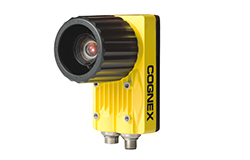 Advanced Control Solutions is a Cognex In-Sight 5000 distributor in Georgia, Tennessee, Alabama and Mississippi. We offer free evaluations and technical support to help our customers solve their applications.